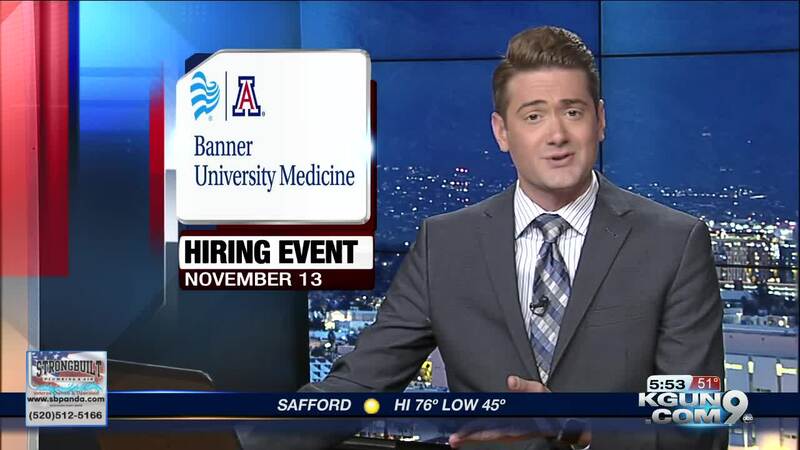 Job-seekers in Southern Arizona are invited to attend a banner university medicine hiring event next Tuesday. It will be held in the plaza outside the University Arizona College of Medicine Campbell Avenue. The hiring event is from 4 p.m. to 7 p.m. on November 13. Walk-ins are welcome but you can also register for the event online .